The great Roger Ebert once asserted that “Video games can never be art”. Ebert contrasted more traditional forms of storytelling such as plays, dances, and films to video games. He insisted that those other art forms could not be won; they could only be experienced. I deeply admired the musings of Roger Ebert when he was still alive, but I always felt that this particular criticism was a bit misplaced. I hold that what defines a “true piece of art” is expression and the intent of the artist. While it’s true that some games exist for the sole purpose of “eating quarters,” there are many more that allow developers to express themselves in ways that aren’t possible in other art forms. While I haven’t nearly the same level of credibility on the subject as Ebert did, the time that I spent playing Vane makes me further contend that Ebert’s opinion was flawed. Vane is the type of game that throws players right into the action without warning. 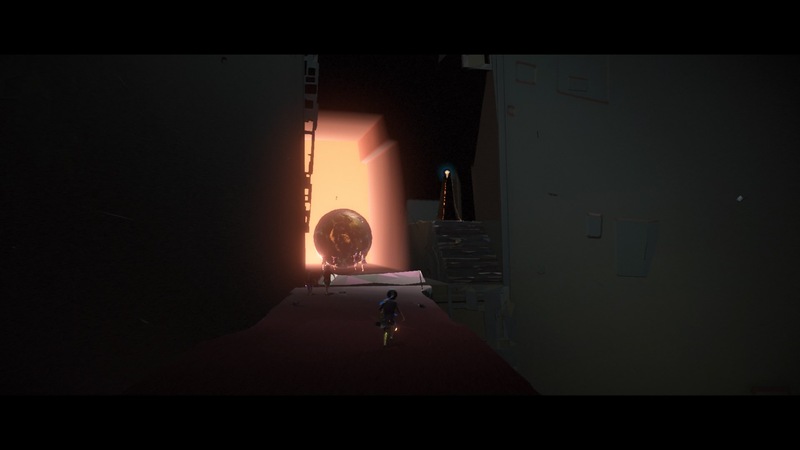 At its onset, our protagonist appears to be a small child carrying some sort of golden artifact. This child is caught in the middle of a violent lightning storm and is surrounded by the derelict remains of a former city. Where did this child come from? Why are they alone? What is the significance of that golden object that they are carrying? The answers to these questions won’t become apparent right away, nor will they be spoken or written outright. Instead, the story of Vane and the purpose of the child’s journey are gradually told through traversing various environments and observing different scenes that occur along the way. Trying to relay the story of Vane for the purposes of this review is difficult for two reasons. First, there really isn’t much to say. As alluded to above, there is absolutely no dialogue present. Everything is pieced together through your interactions with the world and observing the sinister characters that lurk in its shadows. Second, half of the experience comes from filling in parts of the story as you play the game. Having said all of that, let me provide a brief rundown. As previously mentioned, you start off as a small child in a storm. Once you finally reach the edge of the storm, a looming figure wearing a golden mask stops you and uses some strange power to transform you into a crow. This is the point where the game officially begins. As a bird, you will soar over a number of different environments and look for objects to interact with. The only tools at your disposal are your wings and your call, which can attract other birds to assist you. As you progress further, you will repeatedly encounter the same strange figure from before. Sometimes it will hide in the shadows and other times it will appear right in front of you. Little by little, its presence and your objective become clearer and clearer. That last point is perhaps my favorite part of this game: despite the player not understanding what the objective is, events unfold as if the protagonist is fully aware. Once I reached the game’s conclusion and saw exactly what I had been working up towards, I was pleasantly surprised. Every scene leading up to that point suddenly made a lot more sense. If Roger Ebert had been looking for a game that could only be experienced, not won, then I believe he would’ve appreciated Vane. I truly enjoy games that deviate from the standard formula and simply exist to be experienced. I found myself drawing many parallels to Flower, another title that takes this approach. Of course, Flower is a much happier, lighthearted game than Vane, but both focus more on creating unique experiences rather than simply completing levels. Speaking of similarities, let’s shift gears and talk visuals. The visual style of Vane is very reminiscent of titles like Ico and Shadow of the Colossus. Call me crazy, but I initially scanned the credits to see if the same development team had been involved in some way. Make no mistake though, all similarities aside, the style and presentation of Vane are still very unique. Perhaps most striking are the colors. When you transform into a bird and begin to take flight, the usage of blacks, blues, and greens are all very pleasing to the eyes. The usage of bright yellows and reds is also nice when contrasted with the otherwise dark and gloomy environments. That’s another topic it in and of itself. 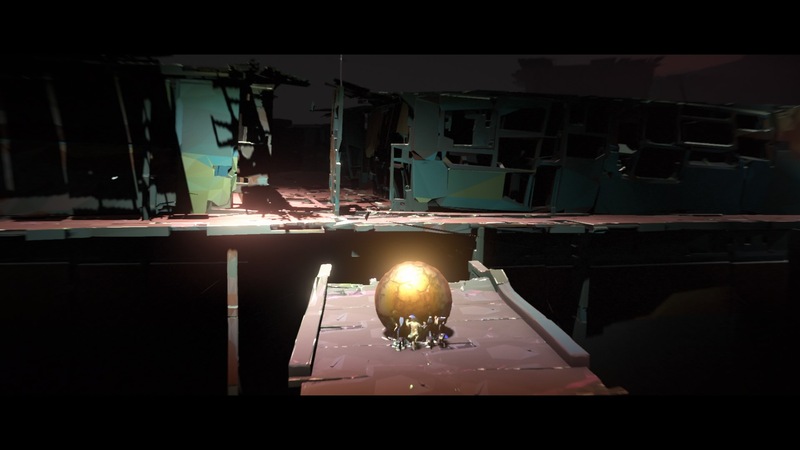 While the different places that you visit throughout the game will generally be dark in both lighting and color, the designers placed heavy emphasis on important objects and areas by making them appear much brighter. I really appreciated this and it made each location feel all the more foreboding. The last note that I’ll make about the visuals pertains to the shading. Everything in this game is shaded in a way that reminds me of a cinematic animated movie. Take a look at any of the locations that you visit or at and the character models and you’ll see exactly what I mean. While I can’t pinpoint exactly what it was, something about this just made me smile. All in all, I’d give the visuals an A+. For me, visuals and sound design often go hand-in-hand. That was certainly the case for Vane. The soundtrack to this game can best be described as a mixture of melancholy synth tracks and ambient environmental sounds. Think Fez meets Blade Runner and you’ll have a pretty good picture of what I’m describing. I found that the initial scenes stuck with more ambient music while later scenes delved more towards dark synth. Both fit really well with the settings that they were paired with. Combined with the visuals, I felt completely sucked into the screen at any given moment. The people responsible for both the art and sound designs no doubt worked closely with one another. Much like its visuals, I’d give Vane’s sound score an A+. It may be easy for some players to dismiss such a game as “artsy” if the gameplay doesn’t hold solid. With that said, let’s take a look at what you actually do in this game. With the exception of some known bugs, I found the gameplay to be rather interesting as well. As mentioned above, certain scenes will have you traverse the world as a bird while others will have you interacting with things as a human. The bird scenes focus more on flying around and locating certain objects to activate. You encounter these objects as a human too, but with the added benefit of having two hands and a voice to shout. Expanding further on the actual mechanics of the game would spoil the experience, so I’ll instead highlight some of those aforementioned bugs. The developers were quick to patch some of the more annoying glitches when I first got a hold of my copy, so those can be largely ignored at this point. There are however some persistent issues that still need to be addressed. One major problem is with the AI of other characters. At points, you will need to call on the assistance of others to solve puzzles. While great in theory, often these NPCs will cease to perform their duties if they become stuck in certain animations (like pushing objects). This makes the later scenes just a tad frustrating at times. Having these other characters help you solve puzzles is neat, but also weighs down an otherwise enjoyable experience. The other issue is less of a glitch and more of a design flaw. 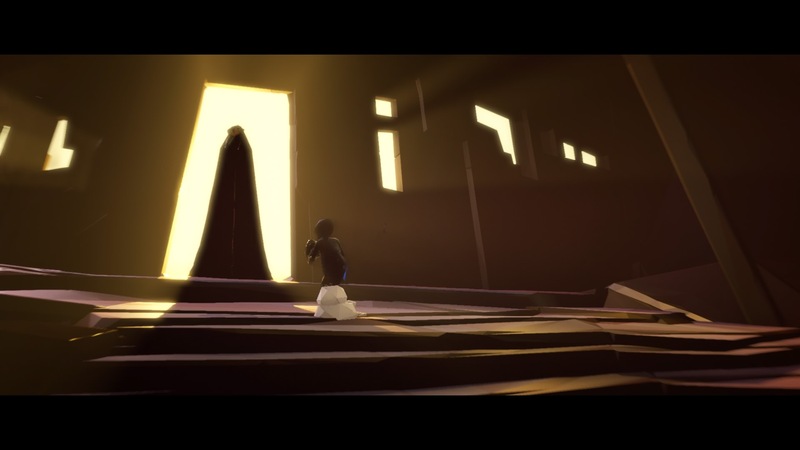 There are a total of six playable scenes in total, each roughly 45 minutes to an hour in length. While the game won’t indicate this to the player, autosaving is done at the beginning of each scene. There is no way to save manually and there is also no indication that autosaves are being performed. While I understood and accepted this once I was made aware, it was rather irksome at first. I ended up losing the first hour of my time with the game because I had to turn off the PS4 and didn’t realize how the autosaves worked. The easiest way to tackle this issue would be to use a little autosave symbol of some kind in between scenes (not just a loading symbol). In its current state, I’d give the gameplay a solid B. When all was said and done, I had only spent five to six hours in total with the game (perhaps seven if you count the first hour of lost progress). While some may take issue with this, keep in mind that with a price tag of just $24.99, buying this game is comparable to seeing one or two really good movies. Or if you prefer, think of it as taking five or six hours to stroll through a special art exhibit. I can say that in my experience with it, it certainly strengthened my opinions about video games and the art world. Had the game been slightly longer and had it been free from some of the technical issues with its gameplay, I could easily have seen myself giving this a 5/5. Keeping in mind that those bugs can be addressed with future patches and updates, I’m happy to settle with a 4 instead (though it really deserves a 4.25). 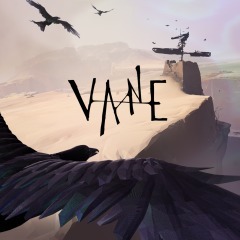 Vane is currently available for digital download on the PlayStation Store. If you enjoy artistic puzzle games and you’ve been looking for something new and unique, you will enjoy this game.